Matrix Living offers modular structures that always surpass expectations. These high quality units are simply transported to the construction site and assembled with ease. The best part is that they are much more affordable compared to traditional buildings. So, they are easy to assemble and save your project on expenses! Our modular buildings have been used to create commercial structures, functional container houses, prefabricated homes, metal buildings and many more. 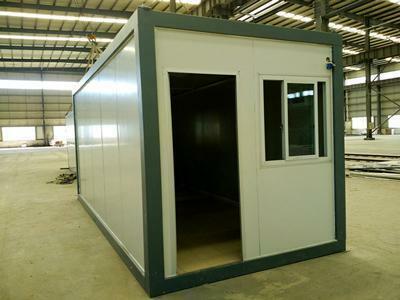 Container Modular ApartmentIn this section we will introduce you to our container modular apartment buildings. These low cost structures are manufactured from shipping containers in order to minimize cost and construction time without sacrificing the quality of the structure as a whole. Residential Modular HomeBecoming a homeowner is a dream for many and with Matrix Living residential modular homes, those dreams can become reality. Our modular housing units are fully customizable and are significantly more affordable compared to traditionally constructed houses. Modular Construction HotelMatrix Living modular construction is suitable for even large structures, such as hotels. Modular construction hotels are a low cost alternative to traditionally built hotels. The ease of shipping and assembly of these structures is ideal for secluded resorts in exotic locales. Commercial Modular BuildingMatrix Living modular construction is suitable for even large structures, such as commercial buildings. Commercial modular buildings are a low cost alternative to traditionally built commercial structures often used for office buildings and other purposes. Modular VillaMatrix Living offers a number of customizable modular villas, often for high-quality real-estate companies. These modular buildings feature all the comforts of a traditional home, and are often installed in spaces where a traditionally sized home or residential space will not fit. 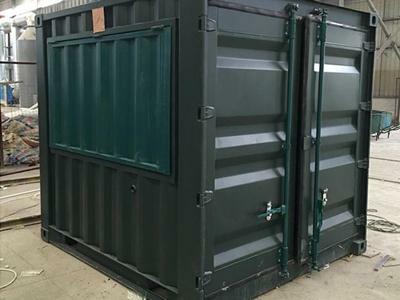 Industrial ContainerThe GM industrial modular container can serve as both a transportation container for various industrial equipment, as well as a temporary shelter for said equipment in small scale industrial projects. It is easy to install, and will meet a variety of customer requirements for equipment usage. Commercial Modular ContainerPop-up commercial shipping container restaurants are composed of a standard 20 foot container repurposed for use as a café, catering base, bar, commercial retail location or other commercial purposes. As the container is equipped with a hydraulic system, customers can open the side panels using remote control. Residential Modular ContainerThe KT shipping container kitchen is a prefabricated kitchen module, equipped with a number of different kitchen facilities, including a lampblack machine, worktable, water purification system, water, and electricity pipes in order to maximize space utilization. Flat Pack Container HouseFlat pack container houses are designed for temporary use. Through the optimization of designs, 5 containers are compressed into a single standard 20 foot container, thereby reducing transportation costs. After transporting the container to the site, builders need only decompress the compressed container in a short process before putting it into use. 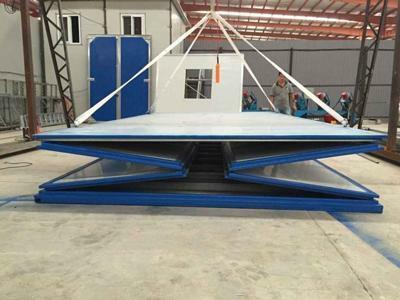 Foldable Prefab Container HouseFoldable prefab container houses are designed for temporary use. We design a precise node, which can fold the box into a 30 cm thick slab based on said node. This reduces space required for transportation, which in turn lowers transportation costs. 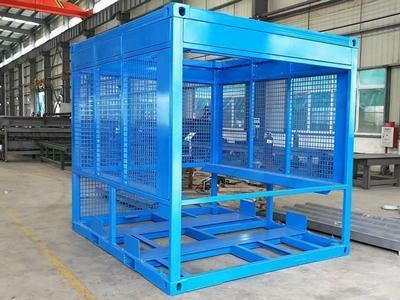 After the container is transported to the construction site, builders need only expand the container. Structural Office Metal BuildingThe structural office metal building features an appearance that is very similar to that of a non-metal building, but requires no masonry or reinforced concrete during the construction. Because of the light steel structure, the thermal insulation, waterproof and damp resistance, as well as the seismic performance. Residential Structural Metal BuildingThe metal material properties and the structure of the shear wall give the building its excellent seismic performance. Because earthquake seismic waves are left/right and up/down movements, the light steel structure is connected using fasteners to give the structure additional stability. 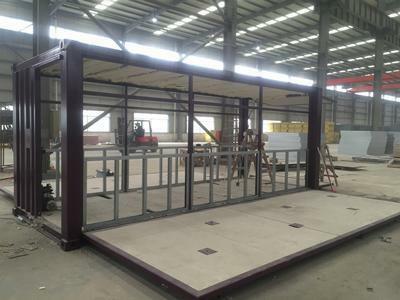 Zhujian has been a leader in the design and manufacture of modular building system, the metal buildings use shipping containers as the modules, and offer functional modular containers for industrial, commercial and residential use. We provide a variety of modular construction buildings like modular container home, modular hotel, shipping container restaurant, kitchen and bathroom. 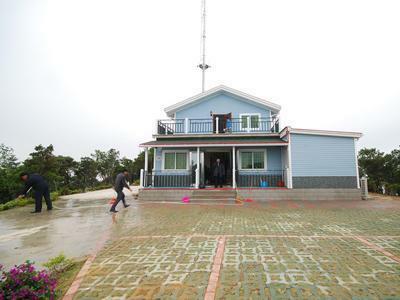 Different from the prefabricated house and pre-engineered building, our container house and modular building can save your construction time and ensure the quality. Our company provides a complete line of the modular building construction, from design, and the construction of wall panel, floor, ceilings, doors, windows, and electrical and water supply system. 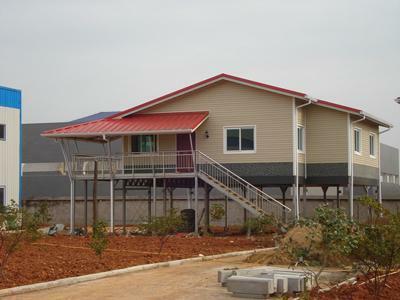 As we focus on the customer service, construction cost and the metal building quality, we can provide quality container house with modular construction solutions.